Play bridge in Las Vegas! Join us in Las Vegas for team and pair games at the Collegiate Bridge Bowl. It’s an exciting experience just for college students, and there will be thousands of dollars of scholarships on the table. The three days of events (July 25-27) will be held at the Cosmopolitan Hotel on the legendary Las Vegas Strip. Whether you’re part of a team or a partnership, there are opportunities to play for scholarships, masterpoints and prizes. See our detailed schedule for more information. 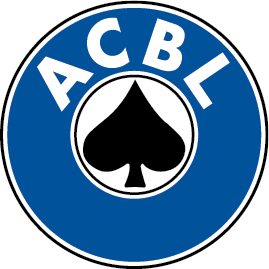 The ACBL and the ACBL Educational Foundation will award travel packages to six college teams and 11 college pairs. Each college can win one team travel package in our Spring Online Team Tournaments. On Friday, May 3, we will award travel packages to five pairs, based on game activity. Pairs wanting to be included in the chance to win a pair participation package must have registered by Thursday, March 14. Players will earn points by playing in the CBO Daily Tournament beginning March 15-April 30 (“Just Declare” tournaments are not eligible for entries) and will earn one point per player, per day. Pairs will be ranked by highest total point as of Tuesday, April 30 (Midnight, Pacific Time). On Friday, May 3, the top five eligible pairs (whose college has not yet won a pairs travel package) will be awarded travel packages. In case of a tie in point count, the winners will be decided by a coin flip. A maximum of one team and one pair travel package can be awarded to each college. Therefore, as soon as one team wins a package, other teams from the same college are not eligible for a travel award. All teams and pairs participating in the Spring Online Tournaments and “game activity” events must submit a signed Agreement of Fair and Sportsmanlike Participation for each player and return it to the ACBL Education Department by April 3, 2018. Proctors must sign and submit a Proctor Agreement after the end of each tournament. Package winners are expected to play each day that they are at the tournament, so if a team is knocked out after the Swiss round in Day 1, they must play as pairs in the Friday pair events (in the event of a five-man team, at least four team members must play in the pairs). Any team that does not win a travel package can still participate in the Collegiate Bridge Bowl Championship. There will be no entry fees for the Bridge Bowl events. Register between Monday, May 6 and Monday, July 1 to guarantee a spot. Walk-up participants must show proof of college enrollment.